US Government have done extensive research into breeds of dogs involved in fatal human attacks. This study covered a 20 year period and several important findings were discovered as a result. Study covered a 20 year period and several country wide reports were used in this study. Each report is officially documented DBRF or dog bite-related fatalities. Time frame of this study is from 1979 to 1998. One of the major sources of official information was The Humane Society of the United States’ registry databank. In addition, several major news outlets archives were used to gather historical data with regards to DBRF. Results of this study paint very distinctive picture as to what type of dog breed was most involved in DBRFs. For instance, during 1997 and 1998, at least 27 people and om average 25 dog breeds have been involved in 238 human DBRF from 1979 to 1998. 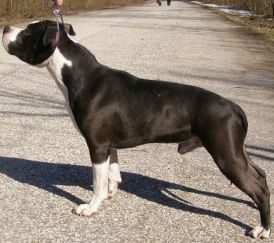 Pit bull breeds and Rottweiler breeds were involved in more than 50% of DBRFs. In addition, there were several types situations when dog attacked. For example, out of total 227 human deaths, 55 involved unrestrained dogs off their owners’ premises, 133 involved unrestrained dogs on their owners’ premises, 38 involved restrained dogs on their owners’ premises, and 1 (< 1%) involved a restrained dog off its owner’s premises. Which leads us to believe that retraining dog is very important preventive measure against DBRF. In conclusion, despite common belief that human deaths are coming from most aggressive breeds such as Pit-bull and Rottweilers, other breeds can be as dangerous to human life.